Concerns about government-sponsored hackings, digital warfare, and an increasing number of malicious cyber attacks prompted tech giant Microsoft to call on governments for a Digital Geneva Convention. Presently, members of the Bitcoin community fear persecution in some countries. For example, Bitcoin miners and traders are being arrested in Venezuela. Therefore, the proposed Digital Geneva Convention should incorporate articles or protocols also to protect members of the Bitcoin community, as well as the free development of the cryptocurrency. 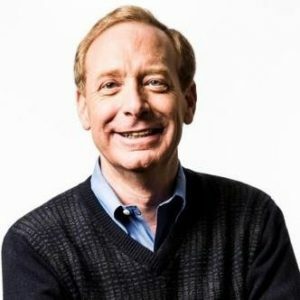 Brad Smith, President, Microsoft, manages Microsoft’s external legal affairs, and he called for a Digital Geneva Convention, at the RSA Conference, San Francisco, CA, on February 14, 2017. Smith has been a key player in leading Microsoft’s efforts on privacy and security. Smith in his appeal refers to the Fourth Geneva Convention, which added articles for the protection of civilians. 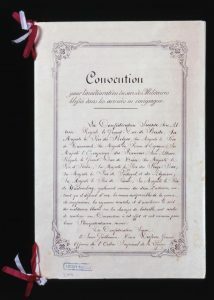 This Convention was introduced in 1949. Setting up the Digital Geneva Convention and then having the states ratify it will undoubtedly entail a substantial diplomatic effort. Incidentally, Denmark is planning to appoint its first Digital Ambassador. Danish Foreign Minister Anders Samuelsen has declared that given that Facebook, Apple, Microsoft, and other technology giant corporations have reached importance and power of such magnitude that “they merit their own ambassador,” Politiken reported. 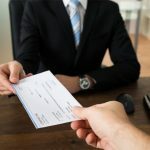 If the Denmark’s digital ambassador becomes a reality, his or her job will certainly be to encourage technology corporations to increase investments in Denmark, as well as contribute to the advancement towards building a cashless society. 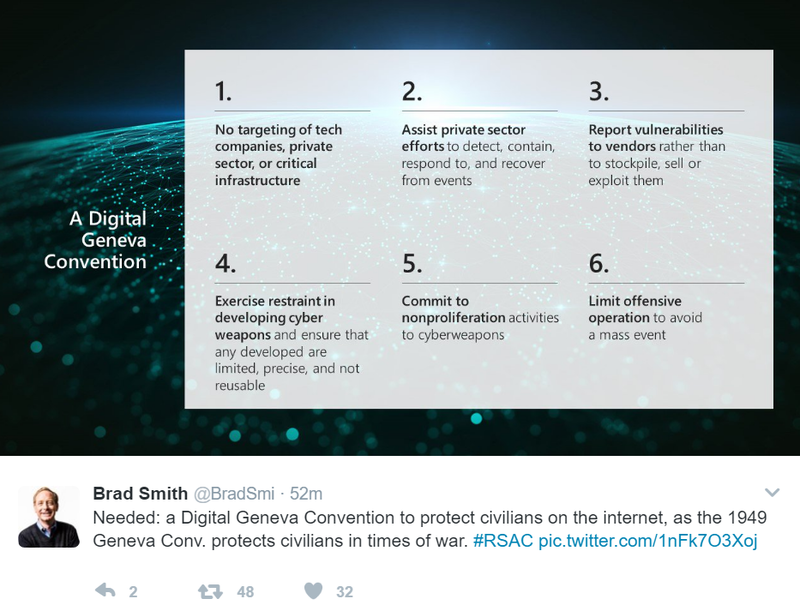 Also, supporting Smith’s call for a Digital Geneva Convention might be a pertinent responsibility of the Digital Ambassador. Bitcoin miners Adan Erick Tapia Salas and Edwald Antonio Tapia Salas. Bitcoin is a technology-driven, borderless world currency. Bitcoin’s blockchain technology open-source code makes all transactions transparent, immutable and irrevocable. Changes in the blockchain cannot occur without being exposed. Bitcoin and its blockchain technology are decentralized, permissionless and trustless networks. All these features allow Bitcoin to be censorship resistant and resilient, capable of overcoming tremendous challenges, as demonstrated during its short existence. Nevertheless, members of the Bitcoin community are being persecuted and arrested. 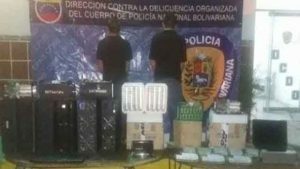 Specifically, the government of Venezuela has been shutting down significant mining operations as well as arresting Bitcoin miners and Bitcoin traders. Therefore, the call for a Digital Geneva Convention is consistent with the need to ensure the protection of the cryptocurrency from malicious cyber attacks and the Bitcoin community from oppressive governments, thus allowing the currency to strive and flourish in freedom. Do you think the proposed Digital Geneva Convention should incorporate protocols to protect Bitcoin and Bitcoin community members? Let us know in the comments below. Images courtesy of Shutterstock, Microsoft, and Swiss Federal Archives: CH-BAR#K1#1000/1414#2*, and Venezuelan Ministerio del Poder Popular para Relaciones Interiores, Justicia y Paz. What’s the quickest way to see the current bitcoin price in your local currency? Click here for an instant quote. 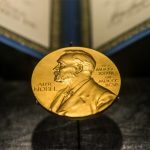 The post Call for a Digital Geneva Convention Could Affect Bitcoin appeared first on Bitcoin News.